One of RE/MAX Real Estate Group Turks & Caicos Islands’ newest property listings, a luxury 5-bedroom villa in Providenciales, is now included on Viviun.com, a website featuring international real estate listings. One of RE/MAX Real Estate Group Turks & Caicos’ newest property listings, a .66 acre lot in Providenciales’ Chalk Sound neighborhood, is now featured on AJC.com, the website of the Atlanta Journal Constitution. 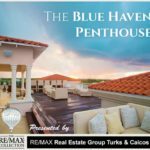 For people looking for Caribbean real estate investments, Blair MacPherson, co-owner of RE/MAX Real Estate Group Turks & Caicos Islands, says TCI is a great place to put on your radar, and the timing couldn’t be better. 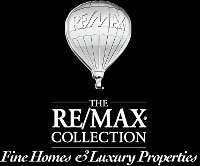 RE/MAX Real Estate Group Turks & Caicos Islands has achieved Top 10 status for Third Quarter 2015 sales for RE/MAX’s offices in the Caribbean and Central America.